Which merchandise should I sell through my drop shipping business? 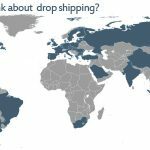 Choosing the right merchandise for drop shipping is key to any successful drop ship related online business venture. As the drop shipping scene continues to develop in Australia, entrepreneurs are paying more attention to consumer and merchandising trends. There was a time when the most difficult part of the retail business model was setting up the right structure; these days, however, e-commerce, shipping and wholesaling are easy to implement thanks to various internet platforms. What is becoming difficult is finding a niche or the right mix of goods to sell. In theory, choosing what to sell when using drop shippers is a two-step process that starts with finding items and ends with a rational confirmation of the idea that prompts entrepreneurs to find what they intend to sell. 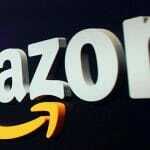 This confirmation is extremely important due to the highly competitive nature of e-commerce. For the sake of illustrating this validation process, we will use sports merchandise and sporting goods as examples. merchandising statistics, Kyrie Irving’s jersey is routinely in the third most purchased by basketball fans. Only his superstar teammate Lebron James of the Cleveland Cavaliers, considered by many to be the best player in the world, and Kevin Durant of the Golden State Warriors sell more jerseys than Irving. Kyrie Irving was born in Melbourne; his father played for a Bulleen team, but the family moved to New Jersey when he was very young. 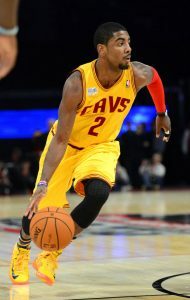 He was drafted by the Cavaliers in 2011 and quickly developed into a star franchise player. A couple of years ago, another Australian point guard became Irving’s backup in the same team, and this marked a historic moment since they both appeared in the NBA Finals. Having two countrymen players making the championship finals of the most amazing basketball league in the world is a point of pride for Aussies, and thus it can be safely inferred that the jerseys of Kyrie Irving and Matthew Dellavedova can be turned into high-selling items by e-commerce entrepreneurs in Australia, and to a certain extent the same can be said about the jerseys worn by Andrew Bogut and Patty Mills. The sales volume of jerseys will fluctuate in relation to various factors. Irving’s jersey will sell a lot more among Australian fans following the NBA Finals, and the volume could peak if he is named Most Valuable Players of the series or if the Cleveland Cavaliers successfully defend their title. Australian wholesalers are likely ready to handle a high volume of orders for Irving’s jersey so that dropshippers can fill orders for their customers. 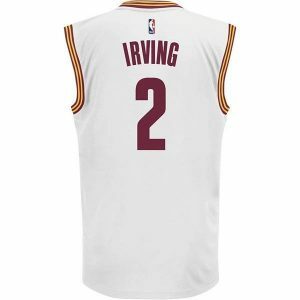 Going back to the merchandise validation process, an e-commerce business owner may want to add Irving’s jersey to her product catalogue during June 2017; the sales strategy in this case would be to follow the trend and ride it all the way to the last game of the NBA Finals; perhaps even beyond if the Cavaliers are victorious. In this case, the drop shipper has to evaluate wholesaler options and determine the arbitrage opportunities; some fulfilment companies may offer unlicensed jerseys at cheaper prices, but this would be taking a risk of running afoul of the Australian Trade Marks Act of 1995, which could bring about criminal liability. Riding trends is something that many dropshippers follow because it is an easy way to make a dollar, but oftentimes the amount made is not so impressive and the successful sales run may only last a short time. In the aforementioned example of Kyrie Irving jerseys, he could either hit a cold streak or suffer an unfortunate injury that will diminish demand. Dropshippers who only follow trends to ride them for as long as possible tend to use automated marketing tools and hope for the best. Dropshippers who follow passions, on the other hand, pay attention to trends as long as they can augment the interests of their customers, who are bound be loyal and spend more money on the items they are interested in. 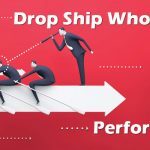 These are dropshippers who have both customers and audiences; they cater to both and are very knowledgeable about what moves people to buy their products. Let’s say a drop ship online store owner is an active member of the Bulleen-Templestowe Basketball Club in Victoria; she can set up an online shop that specialises in authentic and licensed NBA merchandise instead of the cheap Chinese counterfeit gear that can be found all over the internet. Due to her basketball affiliation, she is in a good position to build a receptive audience that will share her passion and be interested in items such as official NBA jerseys; to this effect, she can build a site filled with basketball content that highlights the contributions of Australians to the NBA and mention facts such as stories from the time when Irving’s father played for Bulleen and lived in Melbourne. It goes without saying that this passionate drop ship business owner can sell more than just NBA jerseys; she can find good deals on equipment, books about basketball, DVDs, nutritional supplements, and other items of interest to her audience members, who are more likely to become loyal customers because they know that they are buying from someone who loves the game. 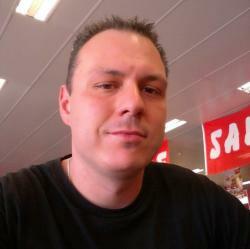 Let’s say a an e-commerce business owner is interested in selling home, fashion and beauty products. We are talking about someone who is into Donna Hay and Martha Stewart; someone who reads Frankie Magazine and watches Fashion TV. This drop ship business owner can maximise her e-commerce business by setting up three storefronts: one for household, another for make-up and the third can be a boutique. If the drop ship business owner feels up to it, she could build a single storefront that will list all the products that she wishes to sell; however, her success will depend on more than just marketing. A single online shop that caters to multiple audiences will probably have to focus on branding, which is a more involved process, and the customer service will have to be impeccable for the purpose of maintaining a positive brand image. 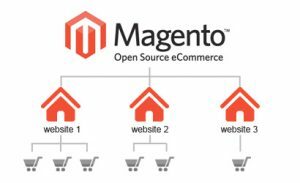 Some e-commerce operators start with one storefront and proceed to build additional shops based on the flow of orders. When a business owner who carries home, fashion and beauty products starts seeing lots of interest in miniskirts and trendy blouses, she may be better off setting up a separate boutique. The process of selecting the right merchandise for a dropshipping venture should include an evaluation of the market potential, and this is something that can be done by means of a tool provided by search engine giant Google. * First, the main keywords describing products should yield at least 2,000 searches per month in order to be considered worthy of selling. * Second, when the main keywords exceed 10,000 searches per month, greater attention should be paid to the number of competitors already offering the same products, and this indicates a market dilution issue that would be difficult to surmount. Social media searches are also helpful in terms of gauging interest in merchandise and how much work will be involved in terms of search engine optimisation and marketing. Measuring interest in long tail keywords is also recommended. Since dropshipping success involves a significant amount of arbitrage, it is important for e-commerce entrepreneurs to consider the difference between costs and sales price. The markup for wholesale products can be as high as 50 per cent or as low as 10 per cent if a fulfillment centre is being used. Other costs that should be considered include credit card commission fees and subscriptions to digital e-commerce platforms that provide the online store structure. There’s also the cost of marketing to think about, and this means that e-commerce operators could be left with only a few dollars on each sale. There is no doubt that marketing is essential in any retail operation, but some products will require more promotion than others and should be sold at a higher markup. 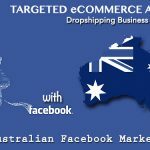 Facebook Marketing for dropship businesses is still an affordable way to promote your products if done correctly. Going back to the example of the drop ship business owner who caters to dedicated basketball fans, she could increase her markup because she is building a customer base that is likely to be loyal due to her connection and personal involvement with the sport. Her higher markup would be justified if her marketing reflects her love of the game since this is something that they appreciate. Many people get into dropshipping thinking that they can earn passive income through the magic of order fulfilment and with minimal efforts in terms of marketing. The problem with this approach is that the earnings are often so small that they only cover the cost of subscribing to e-commerce platforms. This is why marketing should not be ignored or downplayed by dropshipping entrepreneurs. Let’s say a business owner decides to operate a niche online store for scuba divers; this is a field that offers a very lucrative potential even though it requires quite a bit of marketing. If the dive shop owner comes across an unbranded and reliable diving knife on Sale-Hoo, she could set a comfortable markup as long as she provides adequate marketing and excellent customer service. Marketing should not be a problem for dropshippers who take time to study their niche and also make the effort to apply constant promotion. 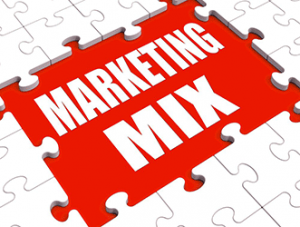 Factoring the cost of marketing should include how much time is spent carrying out promotional and advertising campaigns, and there should be a certain threshold to consider. For example, a dropshipped diving knife that costs $50 could be marked up to $60, but how much effort went into selling a couple of those knives? E-commerce entrepreneurs should realise that taking care of their own marketing will save them a few dollars, but doing so will take considerable time even if they are treating their shop as a side business. 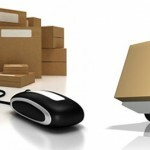 The final factors to consider include the size and weight of the items to be shipped. In general, items such as the NBA jerseys and boutique clothing mentioned herein are better options for drop ship business owners since the delivery costs tend to be more affordable and thus the business owner can offer flat pricing for shipping or even offer it for free as long as the markup allows it. More importantly, smaller packages tend to travel quicker especially when sourced internationally.